Its the final week of the college hockey season with the Frozen Four set to commence in Saint Paul on Thursday and Saturday. Michigan, Minnesota-Duluth, Notre Dame and Ohio State will battle it out for the right to be crowned the 2018 NCAA Champion. A lot of Quinnipiac commits seasons have to an end but there is still some playing for the next couple of weeks. Let's take a look at how some of them did over the past week. While he was held off the scoreboard in Game 1 of the BCHL semifinal series, Ethan De Jong potted a goal and an assist in Game 2 for the Prince George Spruce Kings to take a commanding 2-0 series lead over the Powell River Kings. In 16 playoff games he has 18 points (10 goals, 8 assists) putting third in the league for playoff scoring. 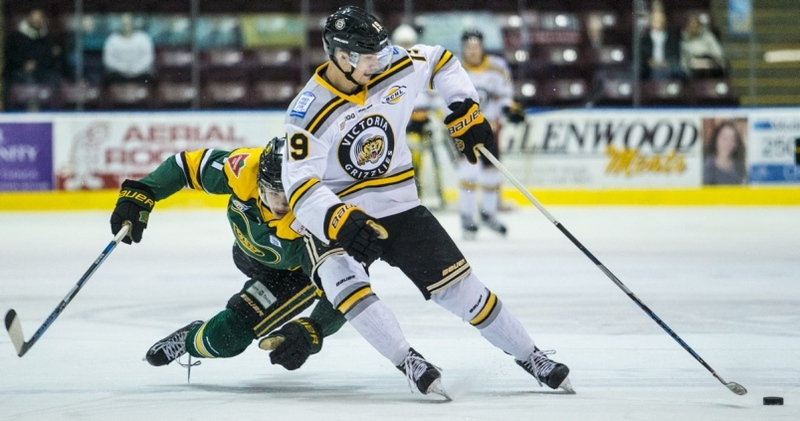 T.J. Friedmann has said goodbye to the Victoria Grizzlies and junior hockey in an Instagram post. The 1998 born forward was expected to be part of the 2019-2020 recruiting but is now expected to be accelerated for the 2018-2019 season. There is still a lot of roster management stuff for Quinnipiac to work out with regards to this recruiting class as the coaching staff looks to remake the roster in lieu of the programs first losing season in over 20 years along with missing the NCAA tournament in back-to-back seasons. 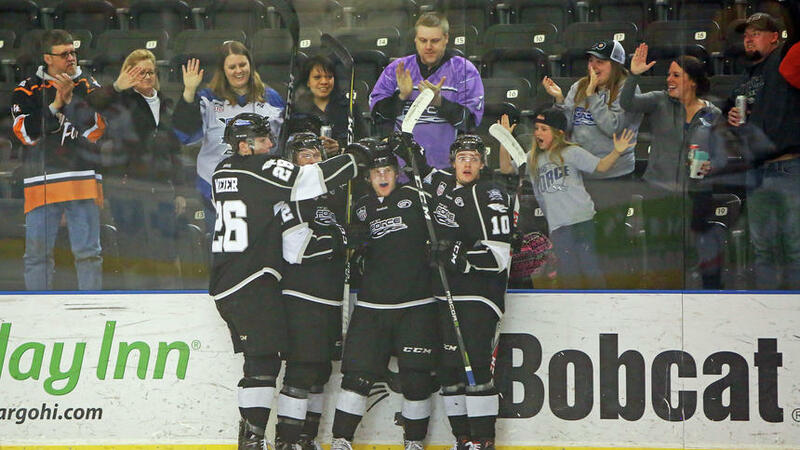 William Fallstrom had a goal and an assist in two games played for the Fargo Force. He has had at least a point in 11 of his last 12 games and over that time span has had three games that were of the multi point variety. On the season in 54 games played, he has 43 points (14 goals, 29 assists) with a plus 14 rating. Justin Robbins went 1-1 with 3.81 goals against average and an .860 save percentage for the Chicago Steel. On the season, Robbins is 7-8 with a 4.05 goals against average and an .872 save percentage in 22 games played with one shutout. Marcus Chorney had two assists in his last two games played over the weekend and is now riding a three game point streak for the Amarillo Bulls. In 58 games played this season, Chorney has 26 points (5 goals, 21 assists). He will play his final two junior games of the season this coming weekend as Amarillo has been eliminated from the NAHL playoffs. The season is over for both Daniel Winslow and Connor Tait as the Jersey Hitmen fell in Game 3 of the championship series to the Islanders Hockey Club of the NCDC division. Neither Winslow or Tait recorded a point in the three games. Winslow will now head to Quinnipiac as part of this seasons recruiting class. 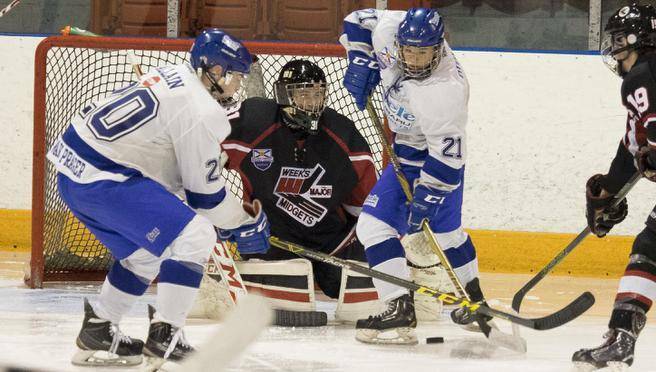 Jacob Quillan of the Steele Subaru Major Midgets had a goal and six assists in five games played in the Midget Atlantic championship tournament. 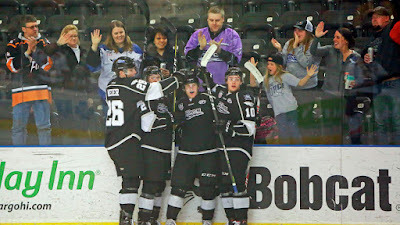 In the championship game his team fell in the 3-2 in double overtime against the Moncton Flyers. Quillan is now expected to come to the United States in the fall to play prep school hockey. The following players are headed to USA Hockey Nationals that run from April 5-10 in various locations in the United States. Corey Clifton (NJ Avalanche U18), Ethan Phillips & PJ Fletcher (CCYHA U16), Victor Czerneckianair (CCYHA U15) & Jack Silich (Chicago Mission U14).